Kabadiwalla Connect has installed smart bins to keep our city clean - add this to the plastic ban and hello, cleaner (and maybe even greener) 2019! If you've travelled around Chennai, you've probably seen the garbage bins overflowing and the piling up on the street. Realising this issue, Kabadiwalla Connect, a Chennai-based information service has started 'Recycle Chennai'. Through this initiative, they have installed smart bins (also known as Urbin) which have built-in field sensors which tell us when a bin is at full capacity. These bins have been installed in different areas around the city including Mylapore and Nungambakkam. 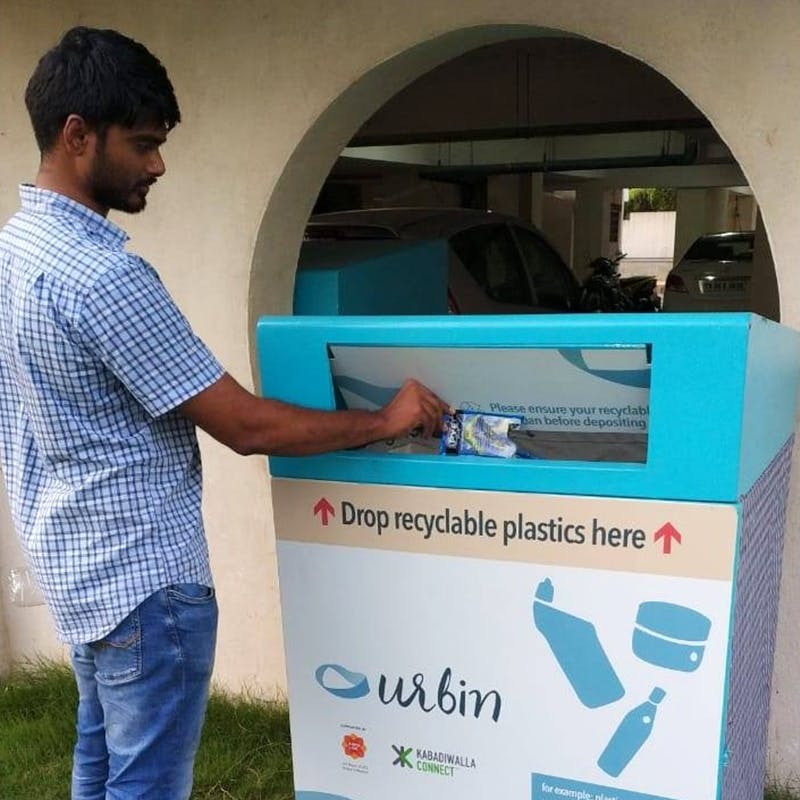 This initiative connects smart bins with local scrap dealers to ensure better waste management. The company's app, Recykle, gives you all the deets about the bins and scrap dealers in your locality. The bins have a QR code which you can scan when you drop off any waste and you can take a picture and post it, too! Doing this gives you points and eventually gifts, coupons, and discounts on food delivery platforms. So, find that smart bin in your locality, get posting, and get eco-friendly! You can follow their social media for more updates on new bins and other eco-friendly initiatives to keep our city clean!